Over 90% of us now check online reviews before visiting a local business, whether that’s a restaurant, dentist florist or accountant. It’s been proven that local online reviews can help businesses attract more local customers and the quantity of reviews on Google has been shown to improve local search rankings. Yet many businesses don’t have any strategy to help them consistently gain more positive local reviews. Many businesses find it hard to generate reviews from customers and it’s usually not through a lack of trying. Not everyone has a Google account or regularly leaves reviews on Yelp or recommendations on Facebook. To get reviews your business needs to keep it simple and advise customers where they can leave reviews for you. 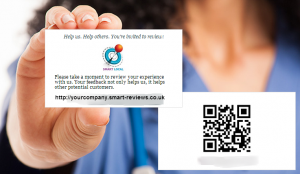 You can put the customised URL in follow up emails to clients, include it in your newsletter and even combine it with the QR code to print out some review invite cards that can be handed out to all of your customers. 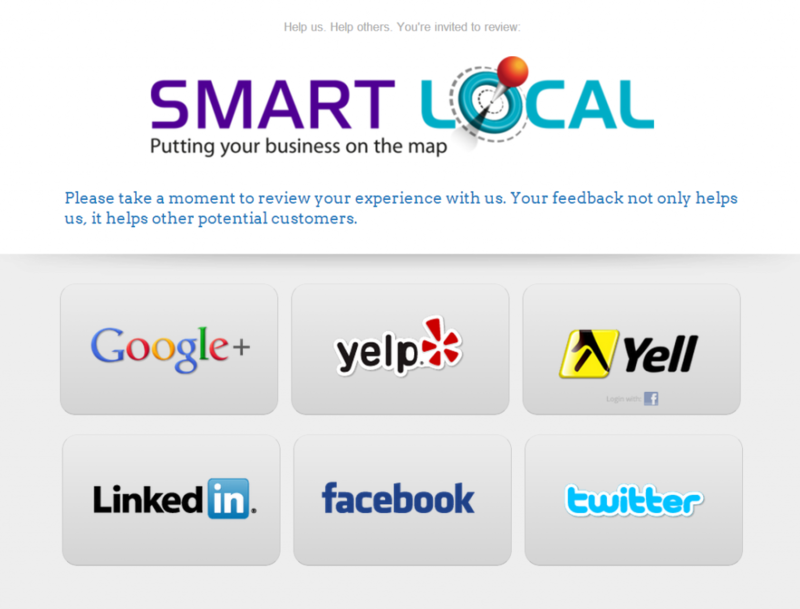 Get started with Smart Reviews today by contacting our team.